Kid Icarus finally got a revival, it’s move to 3D was drastically different and a lot of fun. I never really got into the original Kid Icarus partly because I was awful at it, either way until Super Smash Bros Brawl I never would have imagined how much of an important IP the game was. Pit was one of my favorite characters to play as in Super Smash Bros Brawl. I was originally quite skeptical because I had never really ventured into the genre of on the rails shooters apart from Lylat Wars on the N64(which I loved), and also the line Pit said in the trailer “Sorry to keep you waiting!” IT’S BEEN 25 YEARS PIT! Anyway on with the review. However on March 23rd 2012 I was proven wrong, and I was glad I was, put simply it opened me up to the genre of on the rails shooters again. Kid Icarus Uprising is about Pit and Paluntena trying to take down Medusa’s Army, along the way meeting various enemies such as Dark Pit and Pandora. The game was made by the people who made Super Smash Bros Brawl, and like the previous it also has a ton of content, and at one point when you think you have finished the game, and the credits are interrupted(I think…you’ll have to back me up on that) by Hades and you turn out to have tons of content left. Pit can fuse weapons together to make new weapons. Kid Icarus Uprising mixes on the rails sky based flying sections with land based sections as Pit can only possess the power of flight for five minutes. 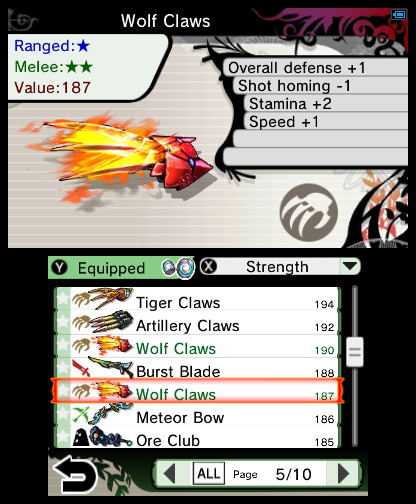 For both of these sections you can choose from an array of weapons which you can combine to make new ones. Pit can use such weapons as Bows, Blades, Staffs, Orbitars and much more. The online multiplayer didn’t really grasp my attention and not because I sucked at it I just feel that it could have been much more if they really wanted its inclusion, however its a neat bonus to the game. The plot of the game is interesting in itself although the story tends to seem to include a lot of twists and turns perhaps to incorporate lots of old bosses from the original game, however this meant lots more of the game to play and some of the wackiest and weirdest levels had the best level design and the most manic firefights. Clearing out the skyline for a couple of seconds can be immensely satisfying especially when on low health, there is are a references to the parting of the Red Sea in the one of the levels, and some of the levels show what would happen if nature theoretically got its revenge all of which create interesting new gameplay elements and make the game feel fresh throughout. One of the “love it or hate it”elements to the game was the voice acting, some people didn’t like the chats between Paluntena and Pit, however in my opinion it made the game feel more alive and all the characters have wacky personalities making the game a charm to listen to as well as play. I recommend this game to anyone who is thinking of buying an Nintendo 3DS or 2DS this holiday. Its a must buy for Nintendo’s dedicated 3D handheld system.